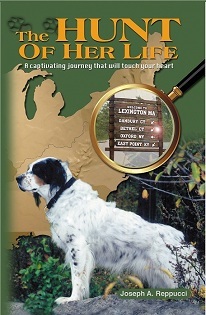 "Dogs cannot write to their congressman or e-mail their family members," Ms. Tudge told MySetterSam.com. "They communicate in dog language. When pushed they will bite." Approximately 74 million dogs are owned in the United States and about 4.8 million Americans receive dog bites each year, according to Tudge. Around 800,000 of those bites require medical attention, although many need just a band aid. Most bites occur within a dog’s home territory and victims are normally family members, home service workers and delivery persons. Resource guarding. A dog lacks training to relinquish something it values - such as a bone, toy or food bowl - and a child or adult attempts to remove it. Fear. A dog will bite to escape or avoid something. Predation. A dog chases, grabs and bites small quickly moving objects such as children to satisfy its predatory instincts. Pain. A dog is approached or touched in a sensitive area. Mistreatment. A dog is punished or threatened and bites to avoid the punishment. In most cases involving a dog biting a family member, the pet has been given giving signals for months or even years, Tudge said. A dog will try appeasement by keeping distance from the person who is stressing them, and this can escalate into minor signs of aggression such as freezing, snarling or snapping. Enroll a dog in an obedience class when it is brought into the home. This gives a pet parent verbal control and builds a trusting relationship. Involve children in the training. Even small children can quickly gain control of a large dog if they learn proper training methods. Desensitize your dog. Get your pet accustomed to having its collar grabbed, having food taken from its mouth and having people pick up its toys and items it considers valuable. Teach the dog bite inhibition. The mother dog does not have time to fully do this because people take puppies from their "bite school" before they have learned this crucial skill from their mother and their litter puppies. Teach children to respect and treat animals kindly. Do not allow children to grab at the dog or pull it tail and ears. Crate train your dog. Give a pet somewhere quiet to go when it wants to be alone and make sure children respect that crate as the dog's private space. Give your dog adequate exercise and mental stimulation. Make sure they are a part of the family. Do not tether dogs for too long. A dog that is tethered, insufficiently exercised or isolated is more likely to be involved in a bite incident. Poison Are your pet's items on the high-toxin list?